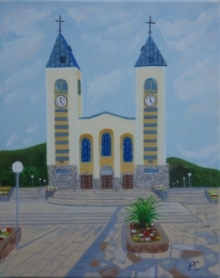 Glazba: Daniella Sisgoreo-Morsan s pjesmom "Da te samo dotaknem"
Tags: Medjugorje Virgin Mary Maria catholic pilgrim miracle Croatia Hrvatska Madonna Our Lady Queen of Peace Jesus Christ. Or click to download the original video file: video_Gospa_Medjugorje ( .avi 11,7 Mb ). Source: unknown web sites or books. If you know the origin of some parts of this article, please send us an e-mail.